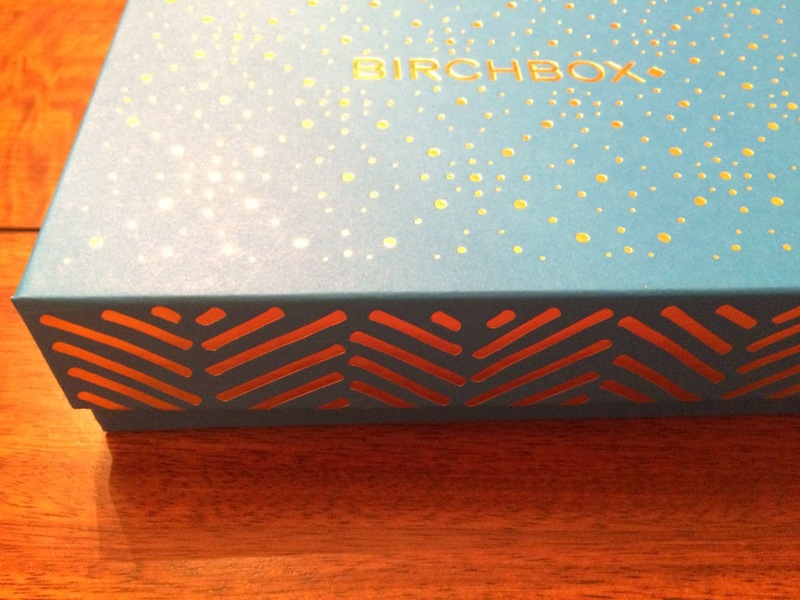 I received my Birchbox December 2014 box this week. I had peeked at what I'd be getting, so it wasn't a surprise. I wasn't as excited for this box as I was for the last couple. I'll probably change my profile to try to get some different items next month. I ordered an add to box item this month, so I was very excited to see it in person. I loved the box this month. The blue color was much more vibrant in person and looked like a deep turquoise. This month's theme was Decked Out. 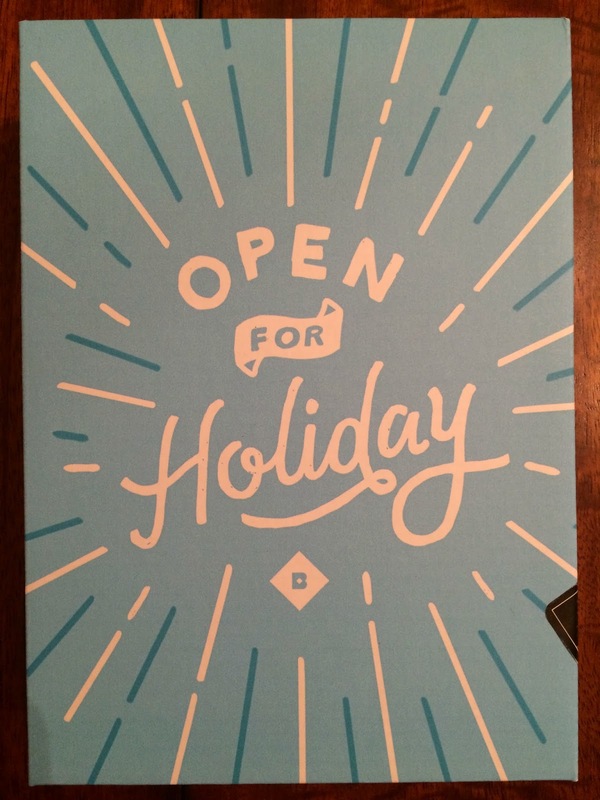 They designed this Birchbox to help start the celebrations a little early. It's filled with festive beauty samples. 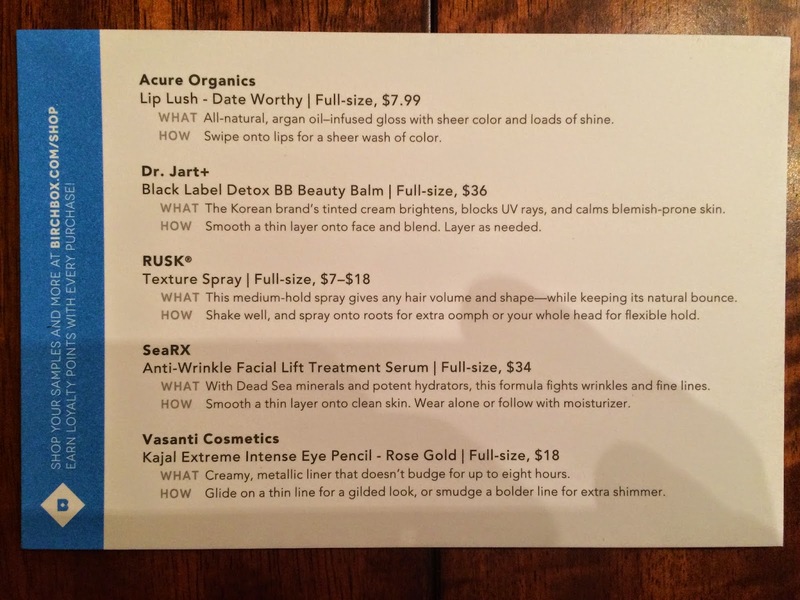 As always, Birchbox included an information card explaining everything in the box. 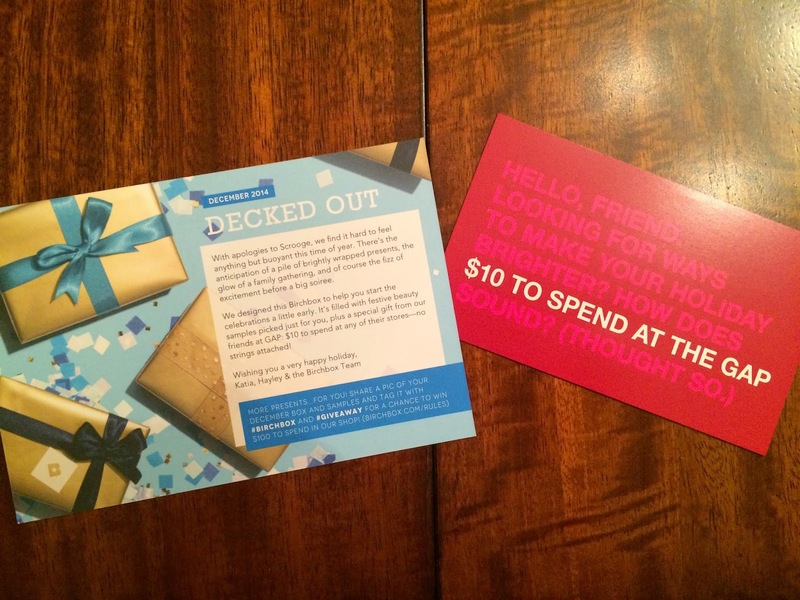 They also gave all subscribers $10 to use at Gap, by signing up with your e-mail. That was a great bonus to the box this month! I will definitely be using mine. 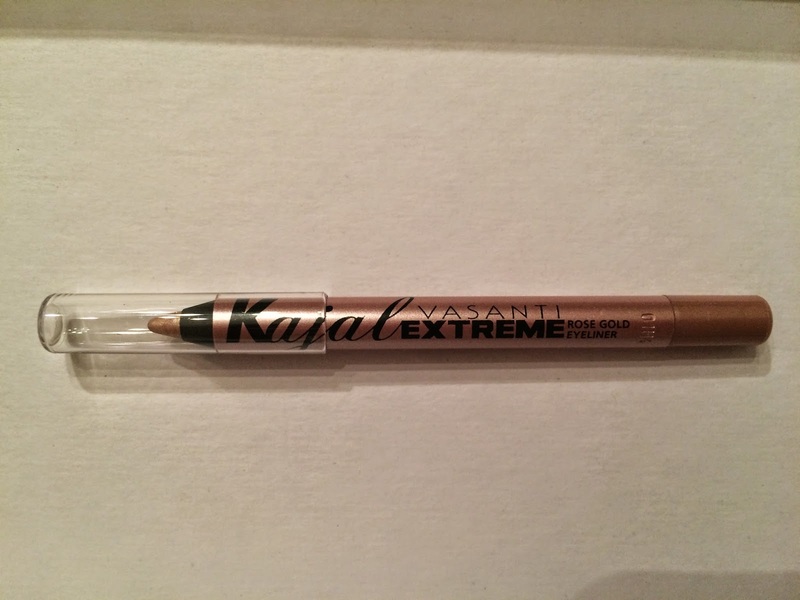 The item I chose to add to my box this month was Vasanti Cosmetics Kajal Extreme Intense Eye Pencil in Rose Gold. Before getting Birchbox, I never used eye liner. I hated it, but now that I've tried a few, I love it. And the rose gold is unique and perfect for the holidays. It gives your eyes a nice bit of shimmer! 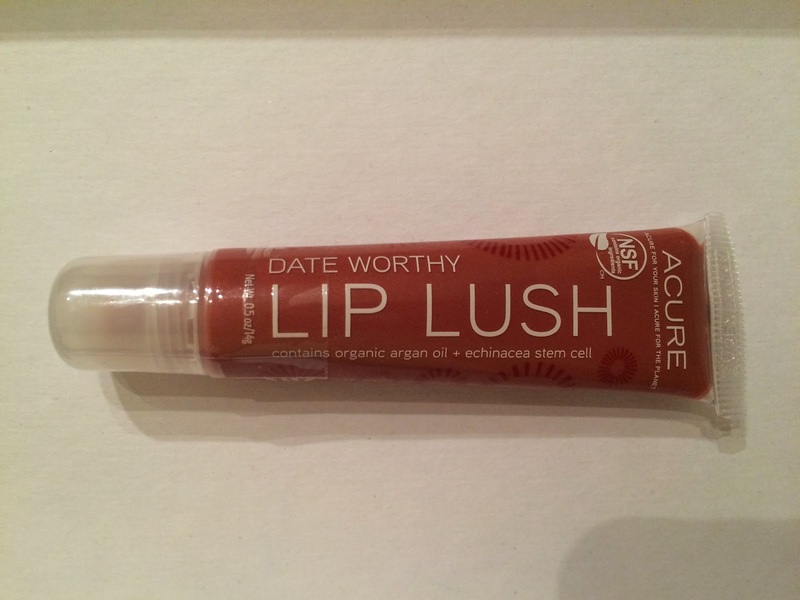 I also received Acure Organics Lip Lush in Date Worthy. I really like this lip product. It's a natural color and not sticky at all. It feels hydrating and nice. I was kind of bummed to be getting a lip gloss, because I feel like I have so many, but I will definitely use this one. I love the color and texture! I may be the only person that is completely over BB creams, but I am. I guess I just don't understand what all the hype is about, because I end up just using them as concealer anyways. I can't stand using a BB cream all over my face, because it feels too make-up ish. 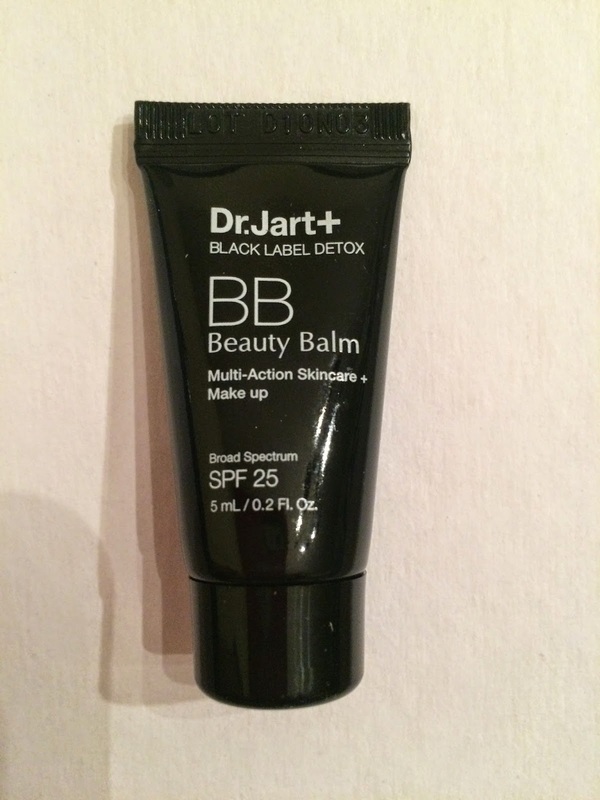 So when I received Dr Jart+ Black Label Detox BB Beauty Balm, I wasn't too excited. It works well and blends with my skin, but nothing stands out over other BB creams I've tried. 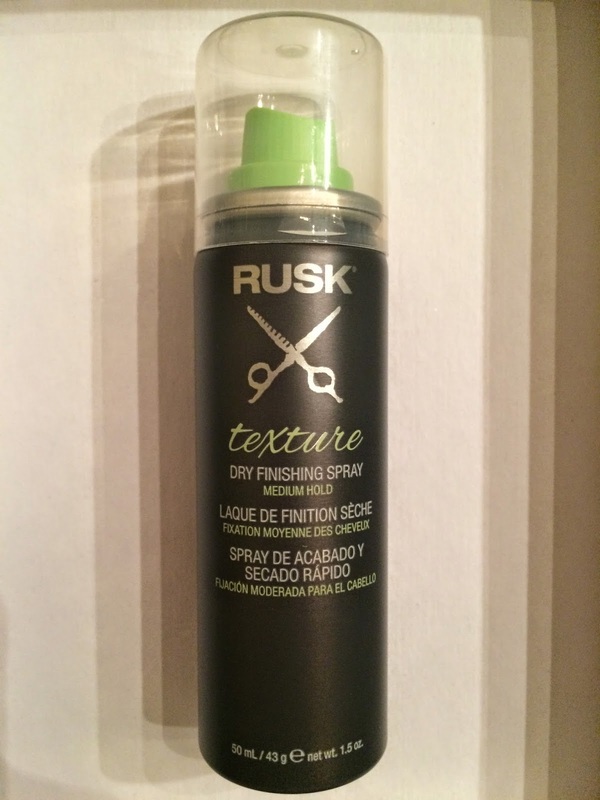 The item I was most excited to try in my box this month was Rusk Texture Spray. I have very fine, thin hair and nothing gives me body or texture at all. Nothing. So I sprayed this in my dry hair as the directions say and it actually gave me volume, and you could play around with it to style your hair how you wanted. My hair is very straight, so it didn't work for a straight style, it just made my hair poufy in a strange way. But this will work great when I curl my hair, which reminds me that I should have asked for a curling wand when people were asking for gift ideas for me. I need one desperately. Anyone have any thoughts on a good one to purchase. My hair is bob length and very straight, fine, and thin, so I need something that will work for me. 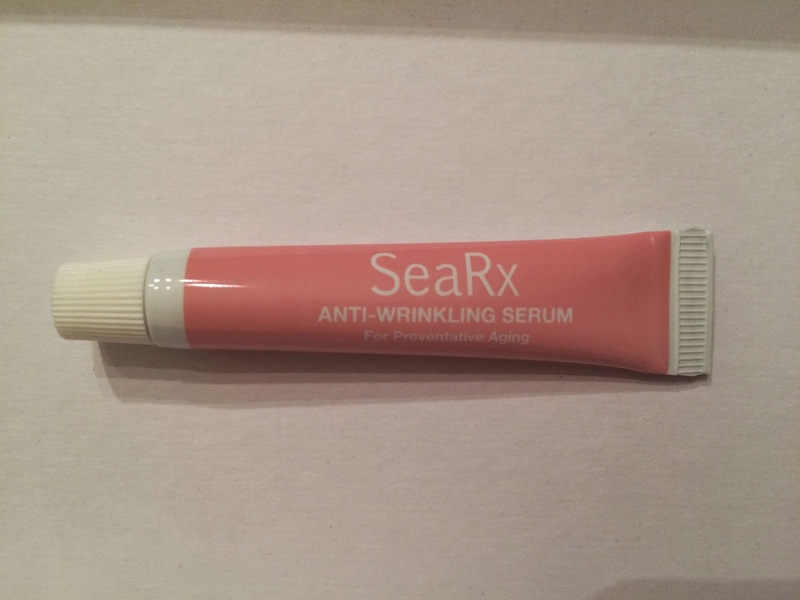 The final sample I received was SeaRx Anti-Wrinkle Facial Lift Treatment Serum. I always like to try new wrinkle creams, but know not to expect miracles after one application. I really liked the simple packaging of this product, actually I more than like it, I love it! This felt very thin and watery on my skin, which I didn't like. It seemed to sink in well, but you couldn't move it around on your skin. It didn't feel moisturizing, I guess is a better way to explain it. And no miracles, so although the packaging was perfect, I wasn't a fan. Now for the most exciting item in the box!!! 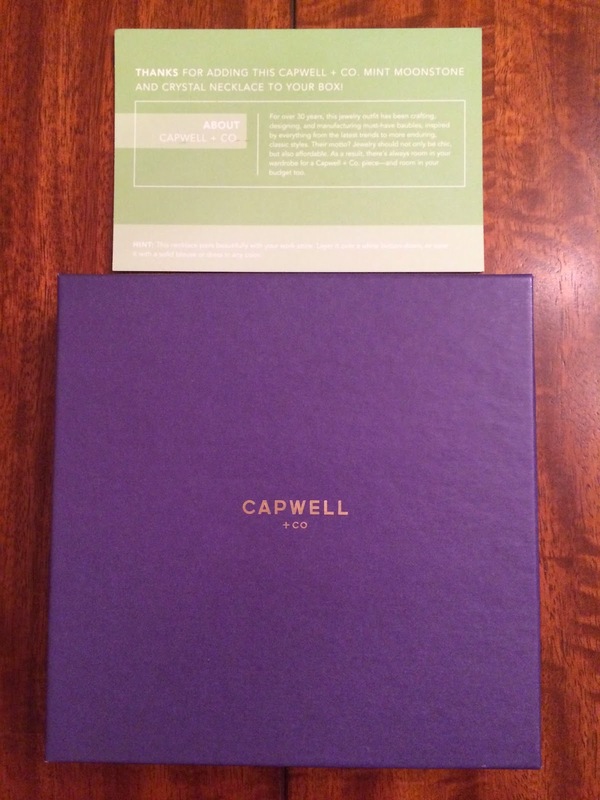 The item I added to my box this month was the Capwell + Co Mint Moonstone and Crystal Necklace. This came in a beautiful gift box with tissue paper. I took quite a few pictures, because I loved how it was packaged and it made me feel like I should be gifting it instead of keeping it for myself. 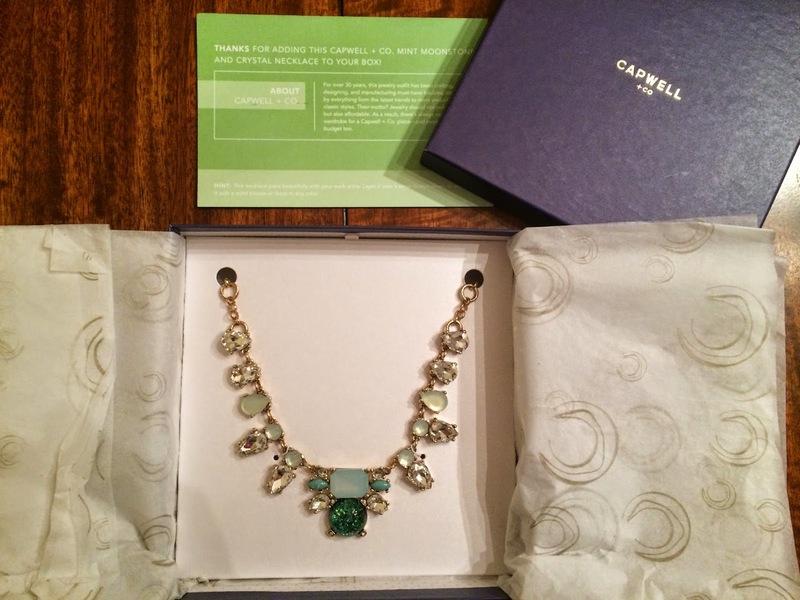 But when I opened the box and saw the most beautiful, sparkly, perfect statement necklace, I knew I couldn't gift it. I love the mint stones and the beautiful center dark green stone! I took close up pictures to show the beauty. I wore this necklace to work the very next day and will continue to wear it. 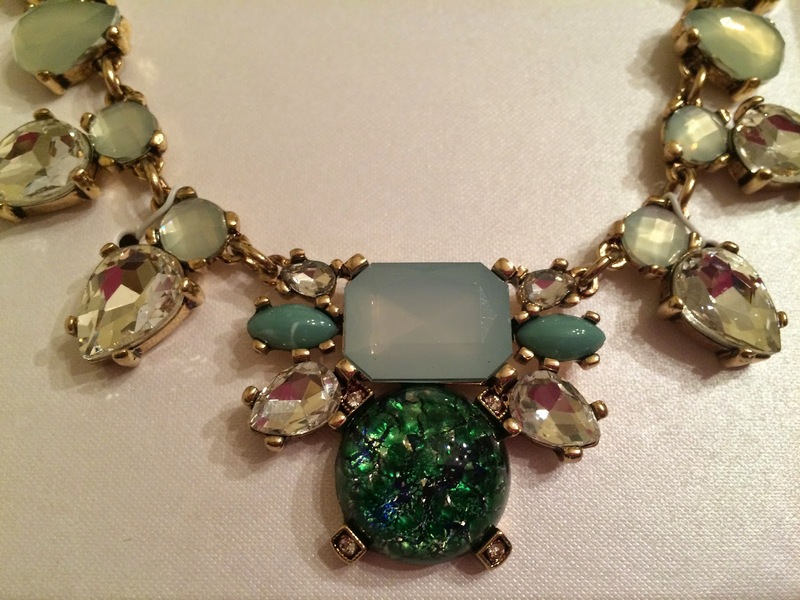 It's the perfect statement necklace to wear through the holidays and after! I think this is my favorite add to box item yet. 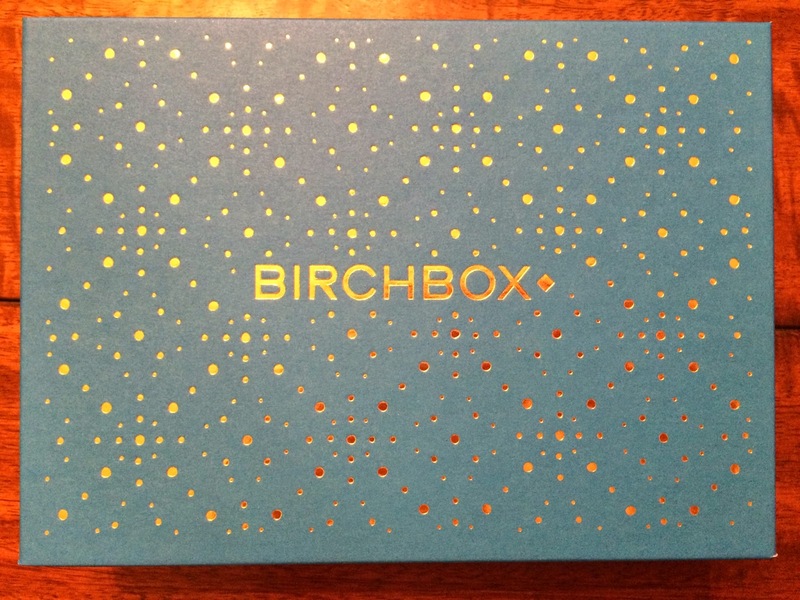 Birchbox has already released what the sample choices will be for the January box, but I'm not sure I'm crazy about any of them. I might not pick any and have a completely surprise box next month.